Main / Customers / Healthy diet / "On the Benefits of Pumpkin Seeds"
"On the Benefits of Pumpkin Seeds"
The life of a modern person is dynamic, full of events and information. We live, we communicate and often even eat on the go. In the desire to be healthy, we often rely on pharmacy vitamins and supplements, forgetting that the best health-improving and healers are natural products, in particular seeds. One of the most useful products is pumpkin seeds - a concentrated source of useful minerals, vitamins and antioxidants. Vitamin E in seeds protects the body cells from destruction by free radicals, thereby reducing the risk of mutations and malignant tumors. A large amount of soluble and insoluble fiber contributes to the binding and removal of toxins, carcinogens and radionuclides from the intestine, reducing the load on the liver. The high content of B vitamins, including folic acid (vitamin B9), enhances the action of many enzymes in the metabolism process, which contributes to the normalization of weight. This combined action of vitamins has another extremely valuable property: to reduce the amino acid content of homocysteine, the presence of which in the blood indicates a risk of a stroke or a heart attack. And polyunsaturated fatty acids (from the families of omega-3 and omega-6) help to reduce high blood pressure, prevent the occurrence of strokes and heart attacks. Potassium normalizes the heart, reduces swelling and allergy, increases the endurance of the body. Pumpkin seeds have one of the highest levels of phytosterols, about 260 mg per 100 grams. Phytosterols are similar to animal cholesterol, replace it and prevent its absorption in the gastrointestinal tract. And in combination with polyunsaturated fatty acids, which are so rich in seeds, contribute to the formation of "good" cholesterol (high-density lipoproteins). Pumpkin seeds have a rich polymineral composition. Just like cedar nuts, pumpkin seeds are especially rich in manganese. Manganese, zinc and selenium activate the body's antioxidant defense system and help it develop resistance against bacterial and viral infections. And the presence of polyunsaturated fatty acids increases the anti-inflammatory effect. The skin, as a mirror of health, reacts sensitively to the shortage of certain substances in the body. Zinc in pumpkin seeds protects the membrane of the cell membranes and promotes the synthesis of collagen, the main "skeleton" of the skin, the renewal of its cells, makes the skin visually younger and fresh. Zinc is also necessary for healing lesions, treating acne and resolving cyanotic post-acne spots. It is known that UV rays, dust, polluted air quickly "age" the skin: skin cells are damaged by aggressive free radicals, the skin looks dull and is slowly restored. The antioxidant selenium, which is abundant in seeds, provides cell protection, quality renewal and high density. Polyunsaturated fatty acids and potassium moisturize the skin from the inside, make it smooth and supple, relieve redness and swelling, slow its aging. 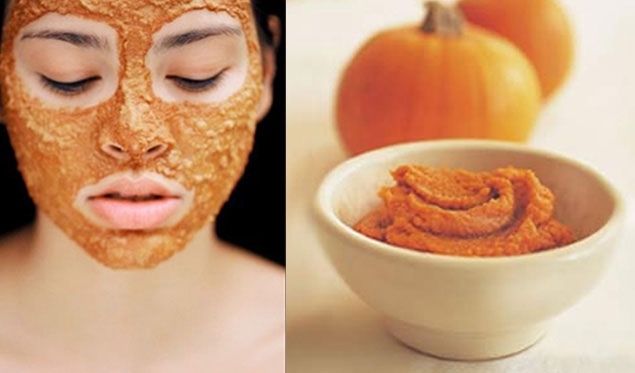 Pumpkin seeds effectively complement the treatment of dry skin on the head, dull and split ends, brittle nails - a complex of unsaturated fatty acids, zinc, vitamin A and E normalize disturbed processes and restore the good state of hair and nails. Pumpkin seeds are a source of amino acids of L-tryptophan and glutamic acid. These amino acids effectively fight stress, relieve anxiety and nervous excitability. Tryptophan influences the synthesis of the hormone melatonin, which provides a sound sleep at night. Tryptophan is necessary and also for the production of serotonin - the hormone of happiness. And glutamine in combination with amino acids phenylalanine and glycine, helps improve the state of the nervous system, memory, mood, improve performance, eliminate fatigue and depression. With regular eating of pumpkin seeds, memory improves, physical and mental performance improves, nervous tension and overwork disappear.